With roots as far as back as the 1880s through managing the sales of Tattersall’s — the leading auctioneer of race horses in Ireland and the UK — in Sydney and Tasmania, Tatts Group is a leading company in the wagering, lotteries and gaming industries operating in Australia, New Zealand, and the UK. It manages eleven different lotteries with annual sales of over $4 billion and five sport and race betting providers with sales of $3.6 billion. It also operates three businesses that provide monitoring and support services to gaming venues. 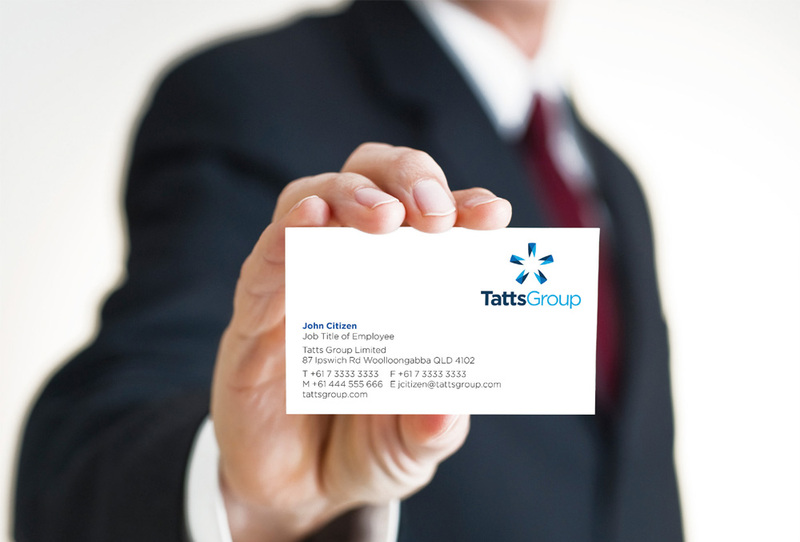 With a wide range of consumer brands under it, Tatts Group decided it was time to improve its own presence as the parent company and introduced a new identity designed by Sydney-based Hulsbosch. Research conducted by Hulsbosch, revealed that a new level of disruption in the brand’s narrative was required to increase the awareness levels. In particular the need to elevate the Tatts Group corporate brand to a position that could communicate to the market they are a trusted provider of entertainment products and services. The simple, clean, contemporary logo style is composed of two components: the top graphic known as ‘the star’ and the distinctive lettering ‘Tatts Group’. In addition the colour palette brings scale and boldness to the brand identity. New identity introduction. Some extra applications shown throughout and logo animation at the end. The old logo was kind of funny, with the misfortunately shaped stars on the ball looking really sad and droopy — makes you pine for the stars of yesterday’s Imperial logo. The new logo provides an alternate interpretation of stars by hiding one inside five strange, pin-like graphic devices. Even though I really have no idea what those five overlapping things are, there is something nice about the icon… the spacing, the colors, the tension created by the sharp points. I wouldn’t marry it but I would take it on one date. The wordmark looks like all other Hulsbosch wordmarks — Gotham-ish, Effra-ish, etc.-ish — and is a perfectly acceptable parent company choice. The “tt” ligature is nicely treated. In application there is lots of pretty blues, plenty of white space, and basic repetition of the logo throughout. Nothing groundbreaking but, again, just what a parent company needs. Overall, a clear improvement. 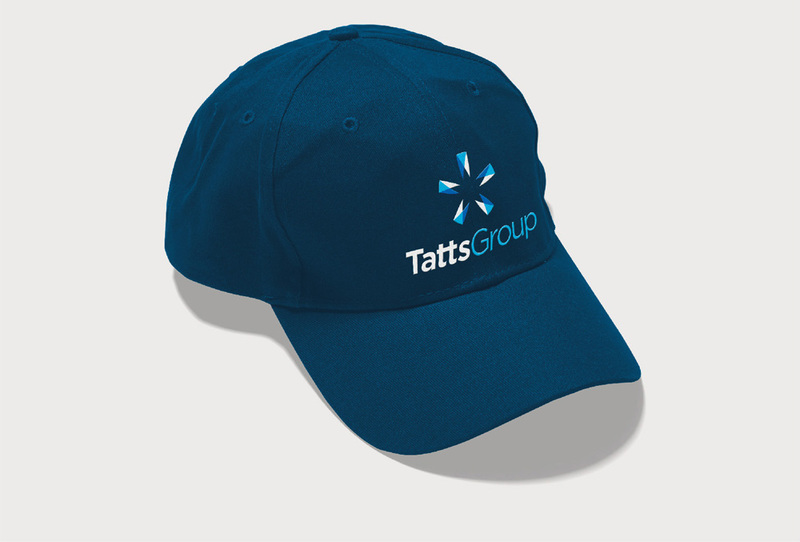 With roots as far as back as the 1880s through managing the sales of Tattersall's — the leading auctioneer of race horses in Ireland and the UK — in Sydney and Tasmania, Tatts Group is a leading company in the wagering, lotteries and gaming industries operating in Australia, New Zealand, and the UK. It manages eleven different lotteries with annual sales of over \$4 billion and five sport and race betting providers with sales of \$3.6 billion. It also operates three businesses that provide monitoring and support services to gaming venues. 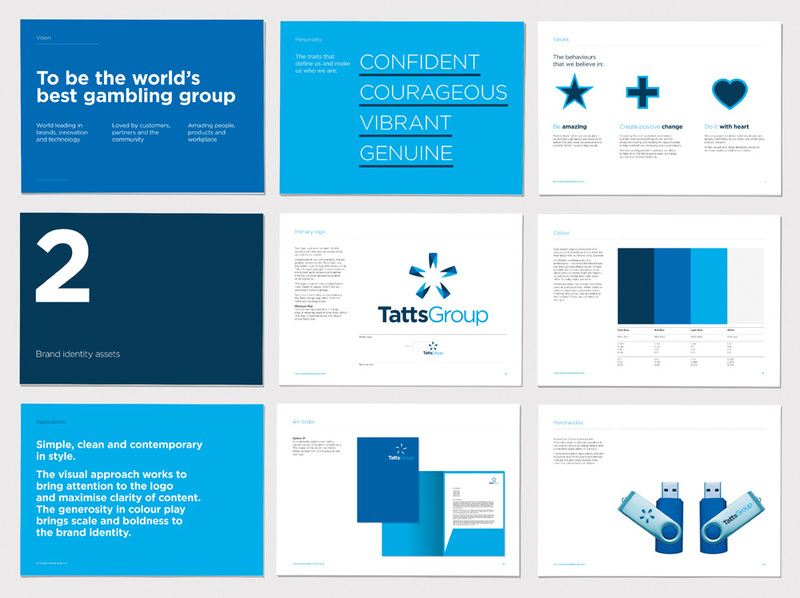 With a wide range of consumer brands under it, Tatts Group decided it was time to improve its own presence as the parent company and introduced a new identity designed by Sydney-based Hulsbosch.